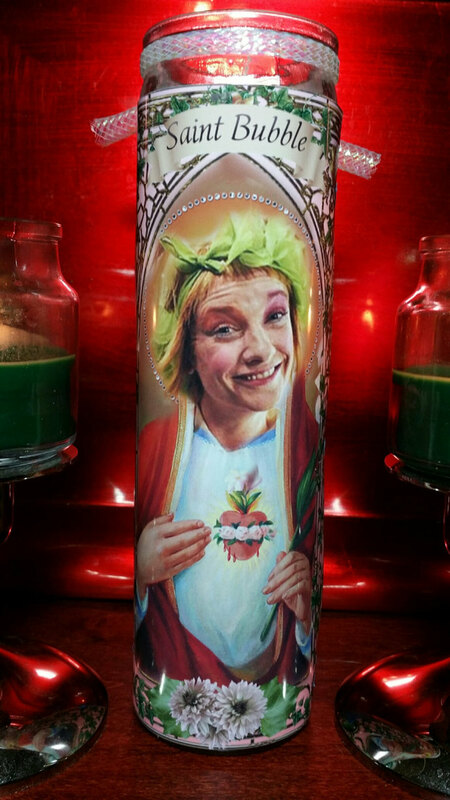 Bubble Celebrity Saint Prayer Candle. 8" tall white unscented candle in a glass container. 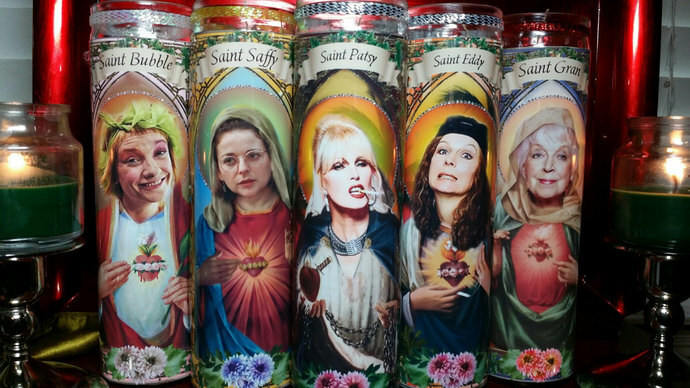 Have the full set of 5 in another listing : Patsy, Eddy, Saffy, Gran and Bubble! 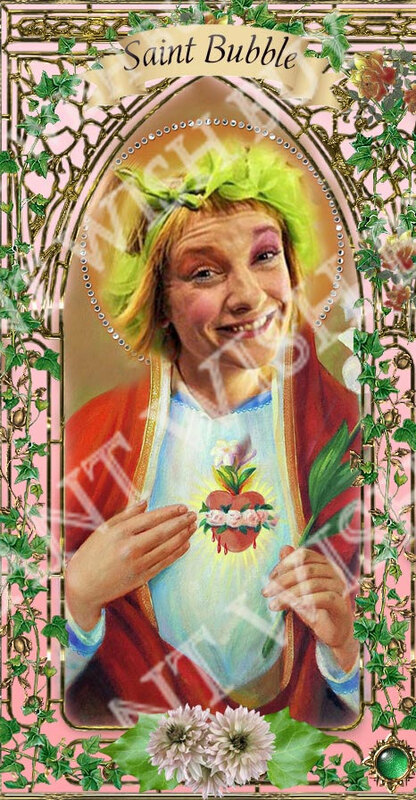 - Absolutely Fabulous! Whacky St. Bubble - who else?